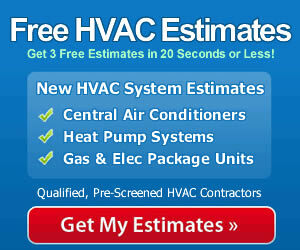 Finding HVAC prices online can be very challenging since manufacturers do not list them on their websites. That’s why it’s always great when a reader uses our Share a Price page to let us know what they paid for their unit. This one involves a Dave Lennox Signature Collection SLP98V Variable-Capacity gas furnace and comes from Dietrich in Cambridge, MA. “Last fall I decided to take advantage of the government tax credits on new furnaces. I knew I wanted a Lennox Signature furnace since I had read nothing but good reports about their efficiency and performance. Because they tend to be more expensive than most furnaces I searched the web and could find very little about pricing because I didn’t want to be taken advantage of. I found this site, but didn’t find a price for the furnace I wanted, so I’m writing now to let others know what I paid. Thanks for the helpful info Dietrich! A final note to this post: It is always important to have your furnace professionally installed. When you buy an ultra-high performance furnace like the Dave Lennox Signature Collection SLP98V there is a long list of fittings, settings and adjustments that need to be very precise in order to achieve the 98.2% A.F.U.E. it is capable of. Always use a qualified contractor with experience in the brand and model, otherwise you might be spending for a 98% furnace but only getting mid-80’s efficiency, a common scenario with improperly installed furnaces.